***DRIVE WITH CONFIDENCE. 6 MONTH 6000 MILE LIMITED POWERTRAIN WARRANTY*** THIS 2012 AUDI A7 PREMIUM PLUS HAS JUST ARRIVED AT OUR SHOWROOM AND IS READY TO SELL. ALL WHEEL DRIVE AND READY FOR THE COLORADO WINTER. THIS BABY IS IN GREAT CONDITION INSIDE AND OUT. LOADED WITH NAVIGATION POWER SUNROOF BACK UP AND FORWARD SENSORS HEATED SEATS LEATHER SEATS POWER SEAT STEERING WHEEL MOUNTED CONTROLS POWER LOCKS POWER MIRRORS AND SO MUCH MORE. THE ULTIMATE LUXURY VEHICLE. A MUST SEE! 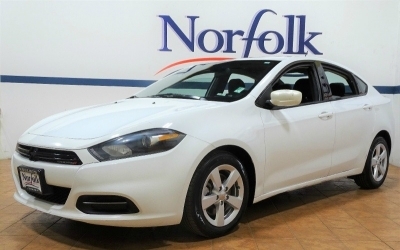 ***WE OFFER FINANCING ON ALL CREDIT***At Norfolk Motors we pride ourselves in our value pricing on quality vehicles. In addition to our great deals we are proud to offer excellent financing choices thanks to our strong relationships with reputable lenders and financial institutions as well as comprehensive warranty options through the no - hassle respected companies we deal with. OPEN 6 DAYS A WEEK! Please 720-298-1796 or visit www.norfolkmotors.com for more information and to see why there is no reason to shop anywhere else.